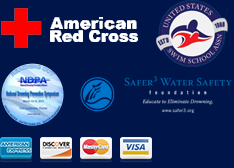 Please take 3 minutes to hear what actual clients have to say about the Making Waves Swim School program. We want to thank our clients for their kind words, dedication, and support of the Making Waves Way. At first I was hesitant about the private lesson concept because my younger one had learned to swim in a group setting. However, after the first 5 minutes I was convinced. The teacher was able to identify with ease, the exact skills my daughter needed to work on. I wouldn’t miss seeing their swimming lessons for the world. Making Waves Swim School scheduled us at a beautiful pool about 5 minutes from our house at 7:30 in the evening. The timing is perfect as it allows me to get home from work, have dinner with the kids, relax for a few, and then head to the lesson. We enrolled my three-year-old daughter in semi-private classes with Dan back in 1998. We knew a large class size was not for her and were lucky to find Making Waves Swim School. For several years, she took classes during the cold Winter/Spring weather and then practiced her techniques during the summer. Now eleven years old, she spends most of her summer in the pool or in the sea. Her abilities and confidence allowed her to begin scuba diving this summer, in the beautiful waters of Greece. As a non-swimmer, I know she will save me in the water, if ever necessary. Her lessons with Dan were worth every penny and more! It was wonderful to see how caring our instructor was. She actually asked about my daughter’s swim background and if there were any special goals she wanted to accomplish.